OKR is a management tool to drive execution on your annual operating plan and strategic priorities. This goal-setting framework is different from the tradition KRA/KPI goals in a way that the starting point of OKR is your CEO/Company goals, not Job Descriptions and Roles. Be brutally honest about why you want to implement OKR? Is it only because Google or Intel has implemented it? Or is it because your existing business KPI’s are sitting in silos and/or your annual goal-setting exercise is a checklist activity and doesn’t add any value to company growth and setting accountability at work? Create a core leadership team for implementation. This team should consist of 3 members (1) CEO (2) Strategy Head/Corporate Planning Head/COO/Marketing Head (3) HR Head. This team should be the one who has the horizontal understanding of your business and company. And this is the team who will drive and manage the change of implementing OKR across the company. Get your CXO’s and managers OKR ready: Getting ready for OKR means imparting the training to managers and business heads about what is OKR, how it’s different from traditional KRA/KPI’s, and how it will help the company achieve required focus, alignment and accelerated execution. The primary focus of this training should be to enable the manager to come up with their own OKR’s . Don’t try to push the OKR’s from the top. You should just be supplying the guiding force and contours under which OKR should be created. Set the OKR cycle: The guiding literature around the internet suggest and promote quarterly OKR’s. Which should be the case if your company is disciplined and ready to put the effort at the start of every quarter to create OKR’s. But to start with, we at qilo recommend the 6-month cycle approach. For the first time, set OKR’s for the next 6 months, observer the adoption, quality of OKR and then reduce the cycle frequency to quaterly. Set OKR format and timeliness to share the OKR’s : Even if you involve your company in the entire process, people still will forget to share their OKR’s internally. A good format is simple yet powerful in a way that to forces people to make a write inspirational Objectives and quantifiable Key Results. Pro tip: Setting a quantifiable Key result is the key to successful implementation. Your training should help your managers and employee to put in more quantifiable key results that push people to go beyond what they can achieve at ease. Communicate the review frequency up-front: This again depends and directly linked with the OKR cycle. If your OKR cycle is quarterly, close the cycle with OKR review and probably in the same review, ask the manager and employee to come up with their next quarter OKR’s. 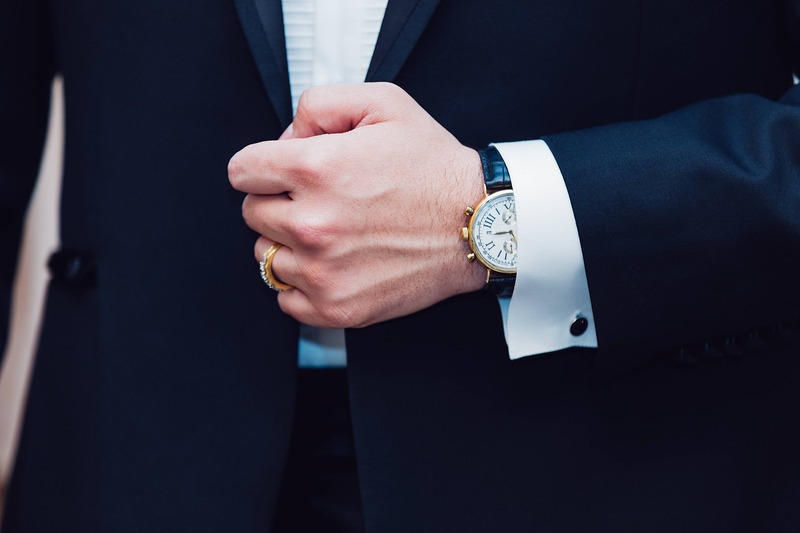 Answer what’s in for me from an employee perspective: At employee end, what works is (a) greed- the greed of going to the next level and earning more money (b) to bring meaning to their work. As a company when you implement OKR, it can help you to achieve both. Implementing OKR by taking it as the guiding principle. And the beautiful thing about OKR is it much more meaningful for company, managers, and employees, help you to bring accountability at work and accelerate execution. But remember, what works for other companies might not work for you. You can and should always customize it based on your requirement. In most of the companies, goal-setting is done to either achieve one or all three perspectives mentioned below. To achieve the annual sales targets. To achieve the annual operational plan and strategic priorities. To fulfil the annual checklist activity of performance management. Ever wondered why all 3 works in silos and doesn’t connect with the big picture? Almost all the companies do the exercise of annual sales target setting but do the half cooked job for setting goals to achieve the annual operational plan and strategic priorities. If done right, goal-setting helps you to accelerate growth, bring alignment and accountability across the organization. If your goal are not the guiding force of your day to day work, they are not the goals, but just a formality. Hoshin Kanri (also called Policy Deployment) is a method for ensuring that the strategic goals of a company drive progress and action at every level within that company. This eliminates the waste that comes from inconsistent direction and poor communication. 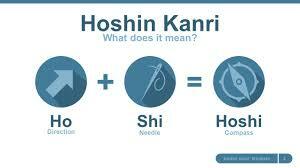 Hoshin Kanri strives to get every employee pulling in the same direction at the same time. Mission: Why do we exist as a company? or How is the world a better place because of us? Behaviors: What are the behaviors that you and your employees should be living by on daily basis to achieve your mission. These behaviors are different from the values which live on your website. Q1. In 3 years from now, if we look back on what we have accomplished from now till then, what is the biggest, most significant accomplishment we could achieve? Q2. What is the single most important objective we need to accomplish to remain competitive 3-5 years from now. Breakthrough Objectives should then be broken down into Annual Objectives. These annual objectives are the basis for your departmental and even individual annual strategic plans. Cascading your goals is a powerful and important part of Hoshin Planning. Each Annual Goal or Objective must be broken down into specific goals and projects for each functional group or team. It is only when each team member has a challenging yet achievable goal that they can see how they contribute to the overall Hoshin Plan. KPIs traditionally have had a bias by measuring past costs, revenues, and profits but offering little insight into how an organization was likely to perform in the future. 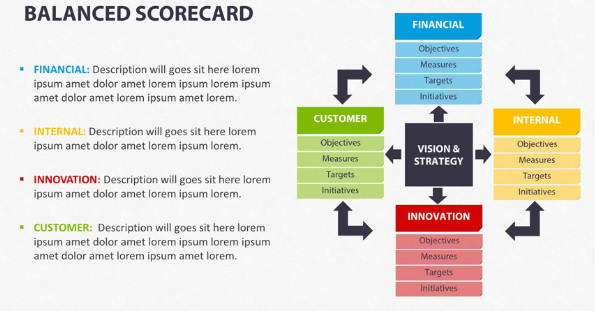 Robert Kaplan and David Norton’s balanced scorecard framework, introduced in 1992, revolutionized how businesses connected KPIs to the company’s broader mission. The balanced scorecard, incorporating financial and nonfinancial measures to guide operational and strategic goals achievement. If you’ve ever seen the Balanced Scorecard in action, you’ll know it’s essentially a strategic framework, divided into four areas (called “perspectives”) that are critical to business success. Objectives and Key Results (OKR) is a management tool that brings in the discipline to achieve excellence in execution aligned with organization and CEO’s priorities. 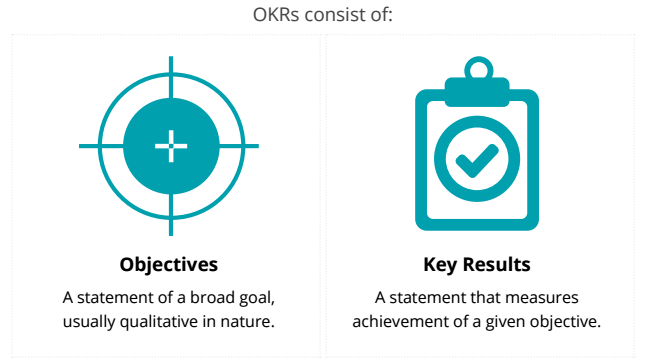 OKR is a goal setting framework originally created by Intel and later adopted by Google in the way back in 1999 when it had had not even celebrated its first birthday. OKR has supported Google’s growth from 40 employees (when it first started using OKR) to more than 60,000 today, proving that it can be used by small organizations as well as large corporations. Today, both technology and non-technology companies are moving fast to leverage OKRs to enable a high-performance work culture. 1) Reduce the variable cost in production by 2.5 %. 2) Increase revenue from product X by 10%. 3) Become a more effective sales machine. 4) Move to the new office by December end to provide a happy environment to employees. 5) Solidify brand and position as market leader. And following are some example of ‘Key Results’ with respect to above-stated objectives. There can be more than one key result(s) that can define how one will achieve one’s objectives. 1) Hire a consultant to review and improve the six-sigma process. 2) Ensure at least 75% of the sales team members achieve their quota. 3) Hire three sales managers by end of June. 4) Identify an office that facilitates company and employee growth for 250+ employees. 5) Hire a new branding agency by end of Q1. Whatever goal-setting framework you are selecting, expecting it to work out magically and contribute towards your company growth without the involvement of your leadership is naïve. At qilo, we have seen many implementations succeeding when leadership from the CEO to every business gets involved, and many fail when you implement these frameworks just for the sake of implementing it because someone else is also doing it. Why have we made Performance Management Complex? When we started qilo, we had only one Purpose in mind- how can we make Organizations Perform Better? During this journey meeting with hundreds of CXOs across the globe, one unifying theme that came out – THE only matrix of Performance which matters is Company Performance if that is not happening rest all is just execution with zero results. So, if this is the main agenda then what is the reason for the disbelief amongst CXOs and employees is the way Performance Management process is executed? Here are my top reasons why companies are struggling in this. 1) Lack of Alignment; on company’s goals with teams and individual’s execution. How many of us know the execution we are doing every day is contributing to companies goals and it’s growth? 2) Ownership of the Process; Performance management is one job which no one want’s to own and is passed to HR who is not the right owner. Performance management has to be designed, owned and executed by business. HR plays an important role which is organization capability building and design and it has to stick to that only, doing interventions on low performers and transforming them. 3) 1980,s style of Management. While things around us have changed, some of our management practices haven’t changed, not going to debate, why? Today we need Agility in organizations and our MBO driven industrial style of managed limits that. Perhaps we need to rewrite few of old schools management books, which were written by executives of GE, Ford etc.. relevant in that era not NOW! 4) Culture– Haha! Another monkey which has no takers. We all want to build High Performing Culture, and what do we do to drive this? Make cool offices … Culture is built on the foundation of purpose and vision. Things we put as posters on the wall and are discussed during induction!! (Pun intended) There is only one person responsible for culture -CEO! Accountability starts from his office. We take about open work environment but don’t trust employees while sharing Strategy, numbers. 5) Technology – Companies have invested heavily in capacity management, sales, and financial software. What about business alignment? As an organization, we want everyone to go beyond their role, your technology is binding them in ‘roles’ and giving a clear message it’s not my job, why bother? 6) Communication – An organization that talk’s get talked about. The sheer concept of communication misleads us; every engagement survey throws out lack of communication in an organization and what we do post that -Town Hall or employee newsletter. We need to understand what communication means. What the employee is seeking is very simple- where are we going, how can I help and how am I performing? Rest all is gibberish and that’s the reason why a stupid question like cafeteria food comes often in Town Halls. Managers have to own communication on performance while CEO is aligning on vision and direction. 7) Going beyond frameworks – Business management frameworks like OKR, BSC, Hoshin Kanri are amazing guiding principles, don’t make them Holy Grail, use them as guiding principles and build your strategy execution customized to your needs around them. Cascade them in teams, unifying them with Objectives, not Roles!! My learning so far is that; when the leadership has the intent and wants to make people accountable for Performance, Organisation’s Culture and Execution goes to the next level. Rest all plans for the next QBR to identify the reasons and necks for failures. On a parting note – Just ask one question to yourself, does your organization have 4 Objectives or 400? When it comes to people specific challenges, what we constantly hear from CEO’s of growing companies is – “People in my company lacks accountability”. Lack of accountability within individuals and managers is one of the primary reason of inability to scale the company. The term accountability is used interchangeability with responsibility. The main difference between responsibility and accountability is that responsibility can be shared while accountability cannot. Accountability means how well or effectively you carried out what is expected of you. Spending far less time in communicating why accountability is important. Lack of discipline in following rituals to set the accountability. Not able to link behavior of accountability with rewards. Accountability is what differentiates a good company from a great company. People are much more career-centric today than before and they want to be the part of success. CEO, functional heads, and managers spend far less time in repeatedly communicating why accountability is important, and how it’s going to impact the company growth and success. If accountability means how well or effectively you carried out what is expected of you, alignment means defining what we should achieve and what we should not achieve as a company. The first step to achieve the highest level of accountability is to start with achieving alignment from top to bottom. The experienced entrepreneurs & CEO’s know why this is important. And spend far more time to get teams aligned on operating plans and strategic priorities. a) Agenda of those meeting is too broad (b) those meetings are not data-driven (c) the size of the team is too much such that not all get the opportunity to put in their point or share status or share the challenges they are facing (d) feedback post these meetings are not captured to measure how well these meetings are performing. The behavior of accountability should be directly linked with monthly, quarterly and yearly rewards and bonus from top to bottom. This should not be the KPI per say to be measured but should be the parameter on which you should enable continuous feedback on. The data point generated from this should help in decision making for rewards. The discipline of practice with better equipment. Many companies can succeed & executer better on their growth plans if CEO & leadership team can make each individual in the company(or at least 50%) behave and execute like a sportsperson. Though linking sports directly with business is not fair; as in sports you practice 90% to 95% of the time, and the actual performance is only 5% of the time. In business, you have to perform every day. You don’t have that much time & budgets to practice. To build sportsmen culture in your people, you have to follow the same 3 principles stated above: “Better Coaching Culture”,” The discipline of execution with better equipment” and “Better Reward & Incentive System”. Managers are the coaches in a company. A coach is someone who helps in “Understanding the strength and weakness of the coachee”, helps in “Making sure the coachee remains disciplined every day” and “Motivates the coachee whenever she feels down”. In sports, coaches are a former player(might not be the rockstar player of their time), but now has the ability and hunger to make the coachee perform best at the highest level. I played badminton at my school level and have represented the school at the district level. But failed to perform better because I was not disciplined enough. When a company performs better than its competitors, its because at every level every person brings disciplined of execution towards the direction set by the CEO/Management. And the managers play a very important role in bringing this discipline. The managers will be able to bring a better discipline to the team ONLY when there is a high level of alignment within the company forwards business priorities that need to be achieved. The process starts with CEO’s ability to cut down the complexity and put in company’s strategy and 3 to 4 business priorities/goals very clearly. And communicates this to the entire company. And than HOD’s take those priorities up and work within the functional unit on what, how and who will work on which goals which will impact CEO’s priorities. Once the managers exactly know what they and their teams need to work on, only then they will be able to bring the discipline of execution in their teams. Currently, the way I see we implement qilo, managers to get hell lot of work done from their team, but lacks the focus on what should be executed. As a company, you & your managers can get many things executed from your teams. But if they are executed on wrong priorities all this time, it will result in you working for your competitor. Adopting an efficient goal-setting framework like OKR or Hoshin-Kanri or One-Page Strategy framework can help here. Money is a universal motivator. Most companies fail to put in an effective and transparent reward and incentive system in place. And because if this you fail to deliver the message clearly to employees about “What’s in it for me to execute with discipline every day?”. And more than anyone else, it should be the managers who know your reward and incentive system in and out. A better reward system should always link the people performance with business performance. It should be data-driven and above all should be able to generate enough data points for better decision making on individual performance. And this data should be communicated to employees/managers on the monthly/quarterly basis. Your reward policy and the process should always reward the end tail of the company on their individual performance, managers should be rewarded for their individual + team performance. And HOD’s should always be rewarded for the company performance. Building the sportsmen culture in your company is not an easy task. But if you are able to bring this change in your company, you will have a far better competitive advantage. As a coach, your managers should be able to (a) Understanding the strength and weakness of their team members (b) Put discipline of execution within the team every day and (c) should be able to motivate/give feedback to the team members on the continuous basis. Your reward system should link people performance with business performance. Force fitting KRA & KPI approach in OKR : For OKRs, the input is CEO/business priorities with respect to cash generation, margin, growth and enhancing customer satisfaction & success. For KRA/KPI’s the input source is the Job Description. CEO and Department Head not getting involved in the process: Since OKR’s is a business-centric approach of goal-setting, leaving the process to HR to someone else in the company will lead to failure. The process starts with CEO defining the Business Priorities that the company has to achieve in that particular financial year, followed by leadership team owning the accountability among themselves on how those priorities will be achieved. And then subsequently, its given to team below the HOD’s. If the leadership team doesn’t get involved in the OKR implementation, the end result will again be a mere formality. Company-wide lack of communication why we are implementing OKR. The KRA centric approach of goal-setting is there from last 30 years. 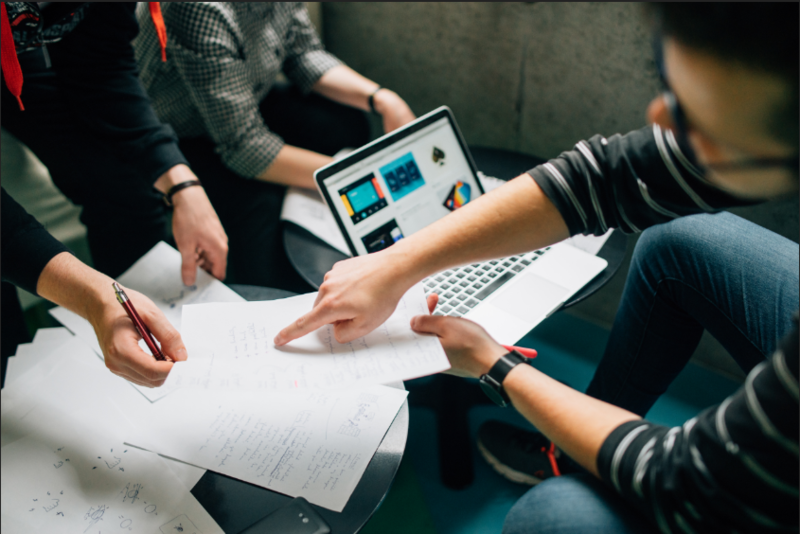 When implementing the OKR, you need to invest the time in education your people what OKR is and how its different from the KRA approach of goal-setting. Delaying implementation of OKR when the new financial year start’s:- When the new financial year start’s, leadership teams put up an Annual Operating Plan(AOP). The output of AOP is your business priorities. Delaying the implementing of OKR means the delay in putting AOP in action. Failing to put Monthly/Quarterly Review Process: Unless the cadence of review from top to bottom is not put in the place, people will not take updating the progress on OKR’s seriously. Not using OKR performance data in your Rewards/Incentives: Failing to link the OKRs with Rewards/Incentives of the individual employee will fail to answer the question for employees “What’s in it for me to help the company implement OKR successfully “. Not leveraging a tool to implement OKR: OKR helps you to link business priorities with people and helps you to align the teams and individuals better. Implementing the OKR in excel sheet might suit for the small company with the size of 10 to 15 people, but implementing OKR with employee size of more than 20, will increase your administrative time of managing the OKR’s across teams and individuals.